Your car breaks down and you don’t have the money to get it fixed. Your child develops a behavior problem, and you have no idea how to help her. Somebody royally messed something up at work and now you have to figure out how to fix it. You’re smack dab in the middle of a tenuous situation at church instigated and exacerbated by THAT lady. Anybody who tells you, “Come to Jesus and all of your problems will be over,” is selling something. The Christian life is not a stroll through a flowery meadow with never a bump in the road. In fact, sometimes it’s just one big pile of poo after another. The truth is, if you come to faith in Christ, you’re going to continue to have some of the same kinds of general “that’s life” poo that you had before. People at work will keep messing up. Your child will still pour nail polish on your new white rug (Why do you have a white rug if you have children?). Your neighbor will back into your fence (again) and drag her feet about fixing it (again). So what’s the point of coming to Christ if you’re just going to keep having problems? Because the point of coming to Christ is not for Him to make all your problems disappear, it’s for Him to redeem you from your sin and propitiate God’s wrath against you. That’s why the symbol of Christianity is a cross, not a magic wand. So how does God want us to face those tests and trials of life in a biblical, Christian way? What is the purpose of all these aggravations, sorrows, and worrisome circumstances that keep coming your way? Those difficult situations we face in life – whether they come as a consequence of our sin, a consequence of our Christlikeness, or simply a consequence of living in a post-Fall world – are the tools God uses to make us more like Jesus. Obediently bearing up during hard times develops steadfastness and maturity, endurance, character, and hope, holiness, peace, and righteousness. You want those Christlike characteristics, don’t you? I do too. But I’ll be honest – my flesh is not crazy about the fact that God often pulls a chisel out of His toolbag instead of a feather duster. And once again, we’re back to the cross versus the magic wand. We want God to “abracadabra” us into Christlike character. God points us to the cross. …let us run with endurance the race that is set before us, looking to Jesus, the founder and perfecter of our faith, who for the joy that was set before him endured the cross, despising the shame, and is seated at the right hand of the throne of God. God does not require you to enjoy pain, suffering, inconvenience, stress, or aggravation any more than He required Jesus to enjoy it. What Jesus did was to focus on “the joy set before Him” – the results of His suffering and the great and glorious things it would accomplish – to help Him endure the suffering. That’s what God wants us to pattern our approach to suffering after – Jesus. We don’t look at the circumstance itself. We look past the circumstance to how God is going to be glorified, how He’s going to grow us in Christlikeness, what we’re going to see Him do in answer to prayer, and whom He might save as a result of the circumstance. We look at the finish line. The winner’s circle. We focus on those things to help us get through the pain and exhaustion. God is not some nasty bully sitting up there in Heaven arbitrarily messing your life up for His own personal entertainment like a kid setting ants on fire with a magnifying glass on a sunny day. He’s your Father. He loves and cares for you. Like any good parent, He wants what He knows is good for you more than He wants you to be fat and happy. He’s in complete control of what happens or doesn’t happen to you. If something unpleasant comes into your life, go back to what you know to be true of God. God is not trying to harm or punish you. He has sovereignly allowed or caused this thing to happen because He is your Father who loves you and wants to do something good for you. He wants to work in your heart and life for your benefit, the benefit of others, and to glorify Himself through this circumstance. Yeah, right. If you’re anything like me, your first thought when faced with a problem is “Oh no. I’ll never get through this one. What if this happens? What if that happens?” Suddenly, in your mind, you’re ten miles down the road in Armageddon-land. God does not sovereignly put circumstances into your life to give you a platform for worrying. It is never God’s will for you to worry. It is always God’s will for you to trust Him. If you’re worrying about your circumstances, you are not doing God’s will. God puts difficult circumstances into our lives to give us the opportunity to exercise our “trust muscles”. Worrying is just another way of saying, “God, I don’t trust you in this. I don’t believe you’re in control in this situation. I’ve got to be the one to figure this out and handle it.” If God is big enough and powerful enough to save you, He is big enough and powerful enough to carry you, protect you, provide for you, comfort you, and reassure you through whatever He places in your path. Trust Him. In the same way that God doesn’t place situations in your life as an opportunity to worry but as an opportunity to exercise trust in Him, He does not place situations in your life in which you have no choice but to disobey Him, but rather, as opportunities to stretch, trust Him, and obey His Word in spite of how difficult it might be. Anybody can be obedient when things are awesome. Obedience during the hard times is what grows you. 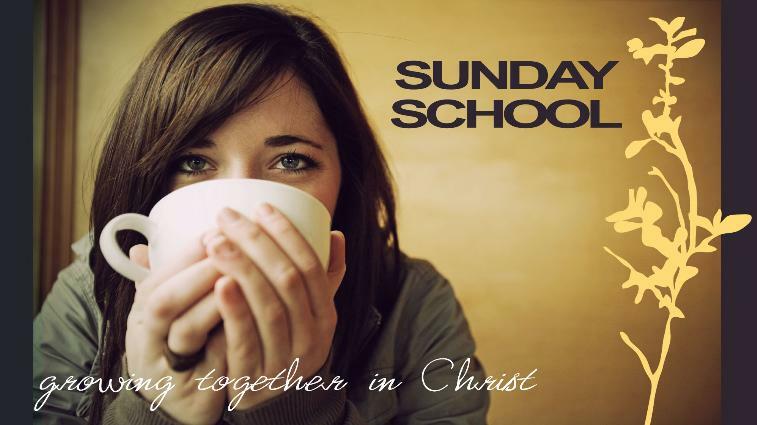 Can’t find a doctrinally sound church nearby? Yes, that’s difficult, but God is not OK with you sitting down and resigning yourself to disobeying Him by giving up the search just because it’s hard. No man will step up and lead at church? They might be disobeying God, but we ladies don’t have God’s permission to violate His Word by teaching or exercising authority over the men of the church just because it would be a lot more convenient to do so. Convenience, comfort, and smooth sailing are not the be all end all of life. The character that God wants to build in you, the glory He wants to bring Himself, the good He wants to do to others through your obedience during hard times is far more important. But you’ll never experience those amazing things if you take the easy way out by sinning. Have you stood against sin to the point of bloodshed? Have you prayed that God would provide you a way to resist temptation and obey Him? 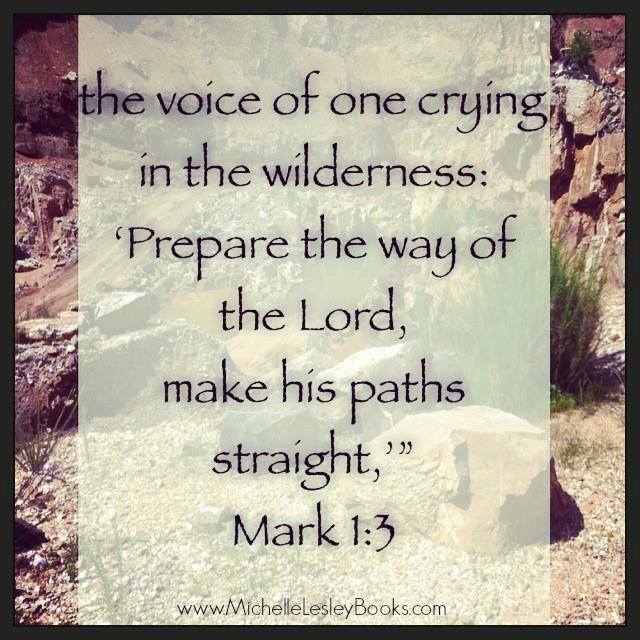 Are you committing your way to the Lord and trusting Him to work everything out? If you want God to accomplish His purposes through the sticky situations of your life, you’ve got to stand firm and obey Him no matter how great the challenge. We may not like difficult situations very much, but for those of us who know Christ, we can rejoice in knowing that God has a purpose for them. The highest purpose – to make us more like Jesus. He does that for us because He loves us. And while we might still wish for Him to bop us with a magic wand and instantly make us patient or steadfast or peaceful, God created us, and He knows that suffering and difficulties are the best way to accomplish those things. So just as Christ endured the cross for the joy set before Him, we can endure any difficult situation God blesses us with, knowing that He’s doing it for our good and His glory. And that’s definitely something to rejoice about. 3. Consider verse 34 in light of the disciples’ lack of understanding in 31-32. How might their understanding of, and focus on, Christ’s impending death, burial, and resurrection have changed the disciples’ conversation? How should focusing on the gospel change your conversation- the people you’re willing to talk to, the words you use, and the topics of your discussions with people? How do verses 34-35 reveal Christ’s omniscience? 4. Which two types of people does Jesus use as illustrations of humility in verses 35-36? What are the characteristics of a servant that demonstrate humility? A young child? How do humble Christians show these characteristics of a servant or a child in their daily lives? 5. What does it mean to receive someone (37), cast out demons (38) or do anything in Jesus’ name? Does it simply mean to tack the words “in Jesus’ name” on to the end of whatever you’re saying or doing? When John says the exorcist “was not following us” (38), does he mean that this man was not a believer in Christ (i.e. not a “Christ-follower”), or does he mean that the man was not accompanying Jesus and the disciples on their itinerant journeys through Israel? Is it possible for someone who is not a Believer to do anything in Jesus’ name? Compare verses 39-40 with these passages. Is there any middle ground when it comes to being with or for Jesus and being against Him? Examine your own heart- are you with Christ or against Him? How can you tell? 6. 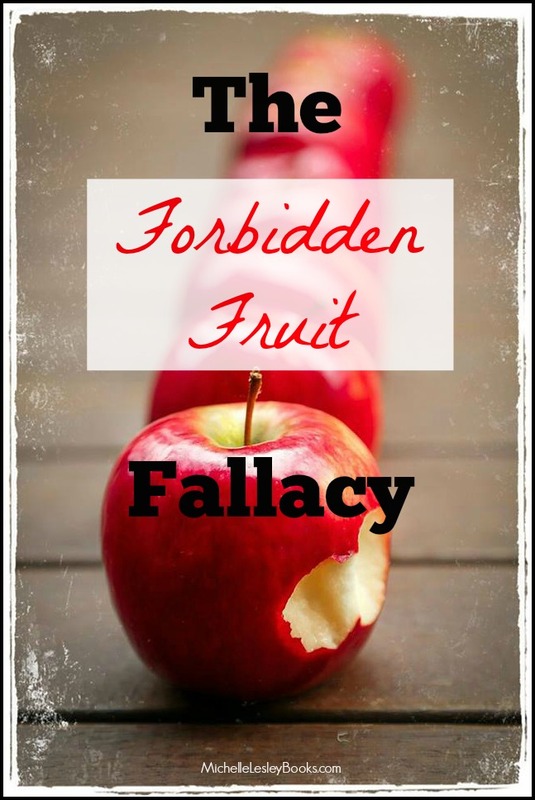 What does God think of those who tempt, entice, or deceive others into sinning? (42) How does this verse help us understand how seriously God views sin? 8. In the ancient world, salt was an important, but hard to get, commodity. It was used for flavoring, to preserve meat, and for other purposes– even in the temple. Think like a first century Jew or Gentile about salt- what would Jesus’ words in verses 50-51 have meant in your culture? How do these verses apply to Christians today? Look back over verses 43-47, and think about the sins you’re tempted to commit: things you do (hands), places you go (feet), things you watch or view (eyes). Choose a sin you particularly struggle against. Is it something you do or see, or is it somewhere you go? What is one practical step you could take to “cut off” or “tear out” that temptation before you fall into sin again? For example, maybe you need to stop watching a certain TV show, take a different route home from work to avoid a tempting place, or stop hanging out with that person who’s a bad influence on you. Prayerfully implement that step this week. 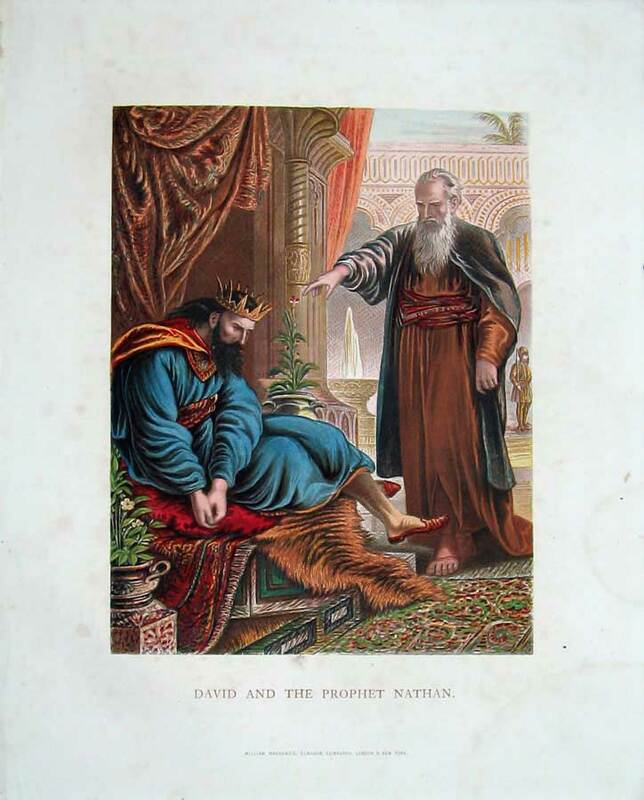 Then Satan stood against Israel and incited David to number Israel. 2 So David said to Joab and the commanders of the army, “Go, number Israel, from Beersheba to Dan, and bring me a report, that I may know their number.” 3 But Joab said, “May the Lord add to his people a hundred times as many as they are! Are they not, my lord the king, all of them my lord’s servants? Why then should my lord require this? Why should it be a cause of guilt for Israel?” 4 But the king’s word prevailed against Joab. So Joab departed and went throughout all Israel and came back to Jerusalem. 5 And Joab gave the sum of the numbering of the people to David. In all Israel there were 1,100,000 men who drew the sword, and in Judah 470,000 who drew the sword.6 But he did not include Levi and Benjamin in the numbering, for the king’s command was abhorrent to Joab. 18 Now the angel of the Lord had commanded Gad to say to David that David should go up and raise an altar to the Lord on the threshing floor of Ornan the Jebusite. 19 So David went up at Gad’s word, which he had spoken in the name of the Lord. 20 Now Ornan was threshing wheat. He turned and saw the angel, and his four sons who were with him hid themselves. 21 As David came to Ornan, Ornan looked and saw David and went out from the threshing floor and paid homage to David with his face to the ground. 22 And David said to Ornan, “Give me the site of the threshing floor that I may build on it an altar to the Lord—give it to me at its full price—that the plague may be averted from the people.” 23 Then Ornan said to David, “Take it, and let my lord the king do what seems good to him. See, I give the oxen for burnt offerings and the threshing sledges for the wood and the wheat for a grain offering; I give it all.” 24 But King David said to Ornan, “No, but I will buy them for the full price. 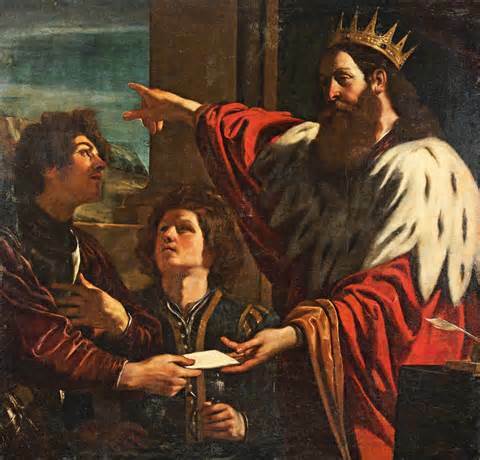 I will not take for the Lord what is yours, nor offer burnt offerings that cost me nothing.” 25 So David paid Ornan 600 shekels of gold by weight for the site. 26 And David built there an altar to the Lord and presented burnt offerings and peace offerings and called on the Lord, and the Lord answered him with fire from heaven upon the altar of burnt offering. 27 Then the Lord commanded the angel, and he put his sword back into its sheath. Verse 1 says that Satan “incited” (other reliable translations say “moved,” “urged,” and “provoked”) David to sin by numbering Israel. Did David have a choice in the matter? Was he forced to sin? What are some ways you can resist Satan when he tempts you? 4. How did David’s sin as a leader affect those under his authority? (14) Why is it extremely important for Christians in leadership (in the home, at work, at church, etc.) to walk in obedience to the Lord? Can you think of an example of how your sin has affected those around you or under your authority? What should you have done differently in that situation? 5. What were David’s first (16) and second (26) responses to God staying His hand? Did God accept David’s worship and forgive him? Why did David insist on paying Ornan for the site and materials for the sacrifice? (23-25) Is it really a sacrifice if it doesn’t cost you anything? Sin. That word can cause us to think of a lot of different things, from our sin, to people who have sinned against us, to forgiveness. Today, we’re going to hear what Jesus has to say about five different aspects of sin. Have you ever noticed that the disciples asked a lot of interesting questions? Why do you think they wanted to know who would be the greatest in the kingdom of heaven? Pride? A desire for clout or recognition? The disciples and Jesus lived in a society in which people were acutely aware of who had rank, recognition, and power (the Pharisees, scribes, Saducees, lawyers, priests, and Levites), and who did not (everybody else, including Jesus and them), when it came to the way Judaism was structured. We talked last week about what people, even the disciples, expected the Messiah to be: a conquering king who would overthrow Rome and restore Israel to prominence and prosperity. Here, as in the case of Mrs. Sons of Thunder asking if her boys could sit on either side of Jesus’ throne (Matt. 20), they were likely thinking of their offices in the new government they imagined Jesus would head up once He reestablished the kingdom. Once again, Jesus had to set them straight. “It’s not about how high on the power ladder you can climb, Boys. It’s about how humble you can be, as humble as a little child.” And why did Jesus have to set them straight? Because they had been, skandalizo, “entrapped” or “tripped up” as verse 6 puts it, by faulty teaching from those who were responsible to rightly handle God’s word. The disciples would soon be in the position of teacher and preacher themselves. It was imperative they had a correct understanding of God’s word and God’s ways so they could accurately teach the new “little children” coming into the church. When we share the gospel with others, teach the Bible, offer others advice or counsel, etc., we must make absolutely certain we have a correct understanding of what God’s word says. Otherwise, we might be tripping others up by leading them to believe things that are in conflict with the Bible. Jesus takes that very seriously saying (7) “it would be better for him to have a great millstone fastened around his neck and to be drowned in the depth of the sea.” Pretty strong words. Recreation of a millstone used for pressing olives in Nazareth, Israel. What about when someone else tempts me to sin? Again, Jesus has strong words for anyone who entices someone into any kind of sin: “woe.” What are some ways we can cause people to sin or be drawn into someone else’s sin, even in the church? Gossip, adultery, inciting other church members against the pastor or other leaders, playing “politics”, etc. But whether tempted by a church member or the world, Jesus paints a serious picture of how we should respond to that temptation. Now, Jesus isn’t suggesting we literally maim ourselves, because, if you think about it, even a blind person can lust. Sin is an issue of the heart. Jesus is saying that we are to get away from temptation to guard our hearts, whatever the cost. Your relationship with Christ is worth it. What might “gouging your eye out” or “cutting your hand off” look like for someone facing a certain temptation? For a person tempted to drunkenness, it might mean not drinking at all or not going to certain social events where they know the booze will be flowing freely. A person tempted to lust and adultery might need to make certain she is never alone with a man she’s not married to. She may even have to avoid spending any time with certain men she’s attracted to. Sin is serious, and we sometimes have to take big, inconvenient steps to stay out of it, but our relationship with Christ is completely worth it. 10– We are not to treat any of our brothers or sisters unkindly; we are to treat all with kindness and love. 12– We remember that Christ came to save the lost from their sin. Of course, He does not want those He has saved to wander off back into their sin. Jesus goes after the wandering sheep to bring it back into the safety of the fold. We are to do the same. If someone wanders off, we don’t just let her go. We go after her in love and concern to bring her back to where she needs to be. 13-14– “If he finds it…” If is kind of an interesting word to use here, since Jesus is the shepherd in the story. Will there ever be a case in which Jesus can’t find someone who has wandered off? No. God is sovereign over all things. He knows where we are, what we’re doing, and the state of our hearts at all times. These verses are referring to the lost sheep who is willing to be found and return to the fold with Jesus. When a Christian repents and returns to Christ, Christ rejoices over her. While there may be consequences of the sin to face, “There is therefore now no condemnation for those who are in Christ Jesus.” (Rom.) Isn’t that awesome? When that repentant sheep comes back to the fold, we are to have the same loving, embracing, and forgiving attitude towards her that Christ has. Christ’s desire is always restoration and reconciliation, and that should be our desire as well. One of the most important things we can focus on in this passage is the word “sins”. In the church body, there are going to be times when things happen to us that we don’t like. That doesn’t necessarily mean these things are SIN. Maybe we don’t like the style of music, or a particular mannerism of the pastor. Maybe somebody tells us a truth we need to hear that stings a little, or someone is annoying or inadvertently hurts our feelings. Our feelings don’t determine what sin is, the Bible does. When deciding whether to confront the person, we first need to determine if what she did is sin according to the Bible (not according to our opinion), or if it’s a non-sinful offense, and we can overlook it and extend grace, realizing that people have probably done the same for us on many occasions. What does that mean? Are we supposed to shun her? Hate her? No. Look how Jesus treated Gentiles and tax collectors (like Matthew and Zacchaeus). He loved them, shared the gospel with them, and called them to repent and believe in Him. In other words, He treated them like the unbelievers they were. People who persist in unrepentant sin show us that they are not Believers. When we have exhausted all attempts at restoration, we agree with their behavior that they are not Believers and treat them that way. We remove their names from church membership and remove them from any positions of leadership or responsibility in the church, but we keep loving them, keep sharing the gospel with them, and keep praying for their salvation. Who is the king in this parable? Jesus. Who is the first servant? Me. How big is our sin debt to Jesus? Verse 24 describes it as ten thousand talents. One talent was a unit of money equal to twenty years’ wages for a laborer. Therefore, ten thousand talents would have equaled 200,000 years’ worth of wages, an impossible amount to even begin to repay, just like our sin debt. But when we throw ourselves on the mercy of Christ and repent, He forgives us that enormous debt. Just wipes it right out. Any sin that anyone can commit against us, no matter how egregious, is peanuts (verse 28 calls it 100 denarii, or 100 days’ wages) compared to the grief and agony we put Christ through on the cross. How can we, knowing how hugely we have sinned against Christ, refuse to forgive others anything they might do to us? “Black is black, and white is white. 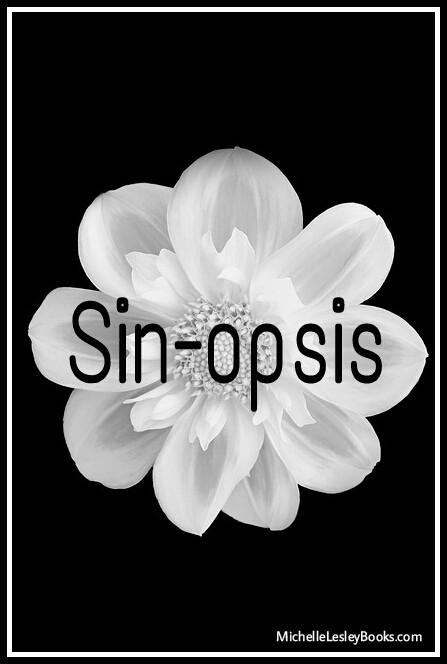 It’s a pretty good “sin-opsis” of the what sin is. It is Christ’s desire that we stay out of sin ourselves, not lead others into sin, rescue others who have fallen into sin, and forgive those who have sinned against us.